If you need a Texture i will made if i can. Tell me what you want and i will do what i can to make your personal texture. 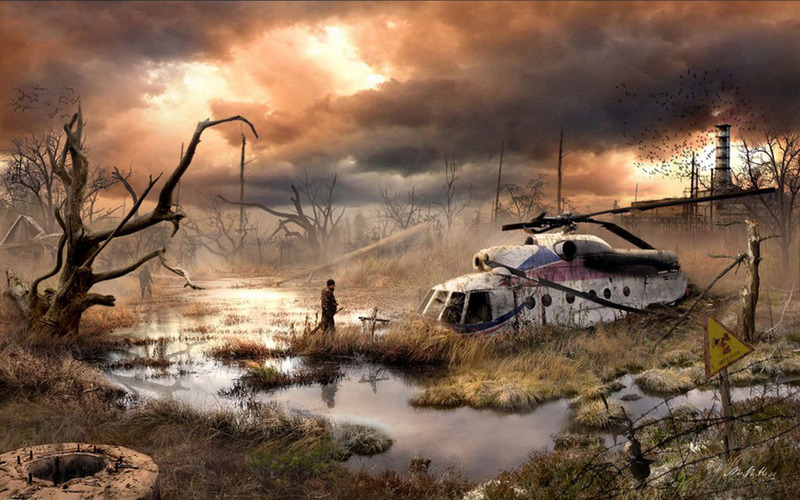 Please no imposibel stuff like ehm an UFO over a Powerplant with Rainbowlights and Fog with dancing Mutants an the ground in a 40 x 40 pixel Pic. I have a request but it's a challenge. 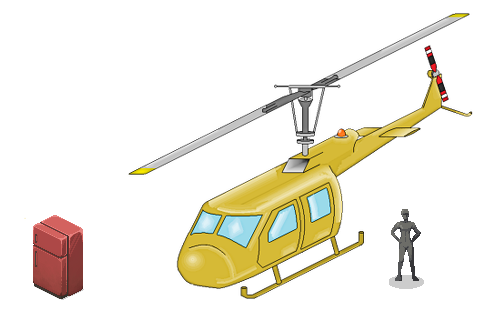 Draw a military or civilian helicopter, isometric, in correct scale. 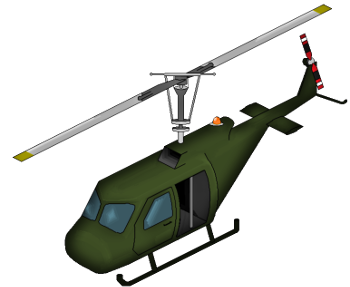 the texture should match the style of PZ, here I put a picture with an example of what I mean, I've seen your work with the Hydrocraft Mod and see you have potential, this request is for my future map, I hope that significantly excellent result..
Hope the size is ok. Dont know if the Heli is PZ Style enough ... just make it not test it. 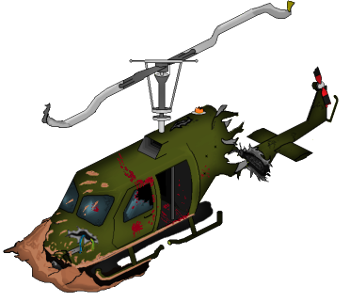 If you want a broken Heli too or another Style of Heli plz tell me. PS: Its a first try ... working on ... see some color mistakes. 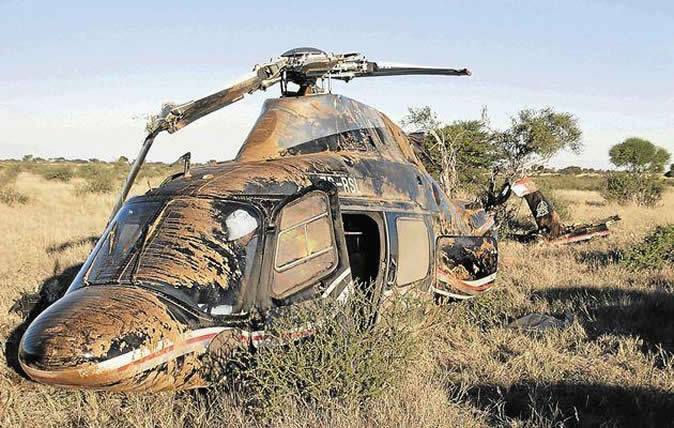 you are doing well you can improve, I like the helicopter crashed. 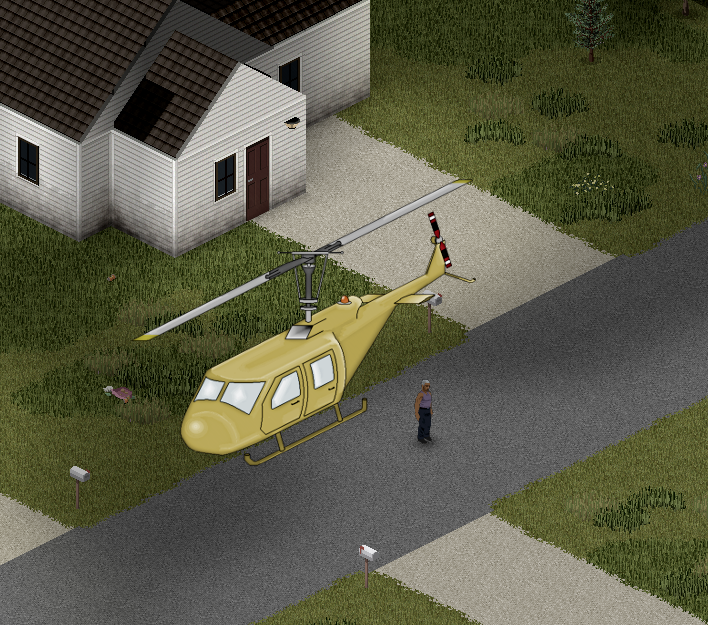 Here I'll show you some isometric work can inspire you to improve your work. 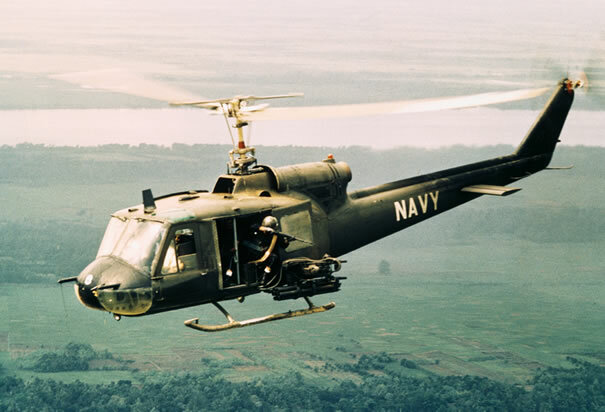 woah i a m such a noob ... take a picture of a real Vietnam Heli to make this one. 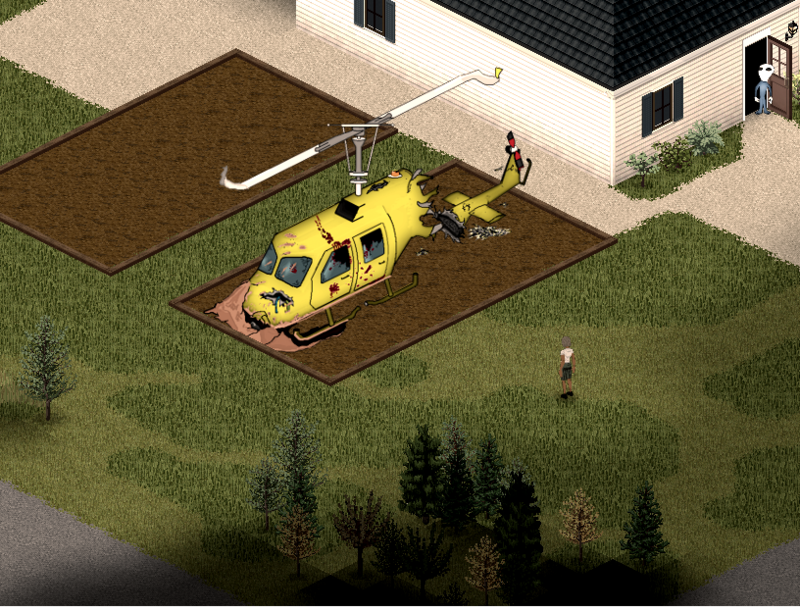 Thank you theese Helis looking wonderfull. 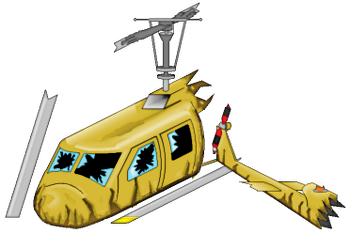 Yeah the broken Heli was only a quick and easy rework of the normal Heli. I would add more deteils on the broken windows and a little bit other stuff. Or i make a military version too. So you can choose between military and civil. But first i need a very strong coffee. Change a little bit the color and make the tail fatter so the Heli looks more massive. Add Glasscolor from original PZ so the Windows looks like original PZ windowcolor. Gnah this Sh.. windows drives me insane. Have make the windows much darker. Now looks better. 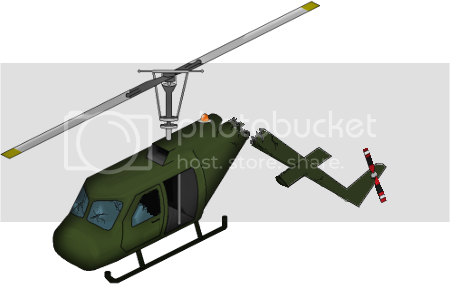 k now i know whats wrong with the heli and here is the new Heli. Looks much better i think. I like your work has improved, the strain gauge is fine this way I like it amazes me every time your picture hehehe. Helicopter how this perfect, now you just have to make four versions. but they must be smashed helicopters. 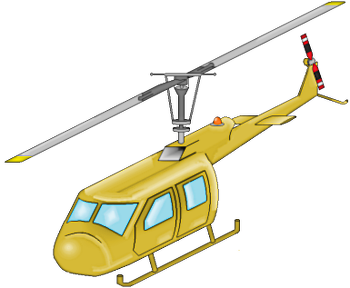 these helicopters will be turned into places where people can find resources as weapons, medicine or things to roast, I'll do that. Here are some sample images you can serve. Have made a testheli. 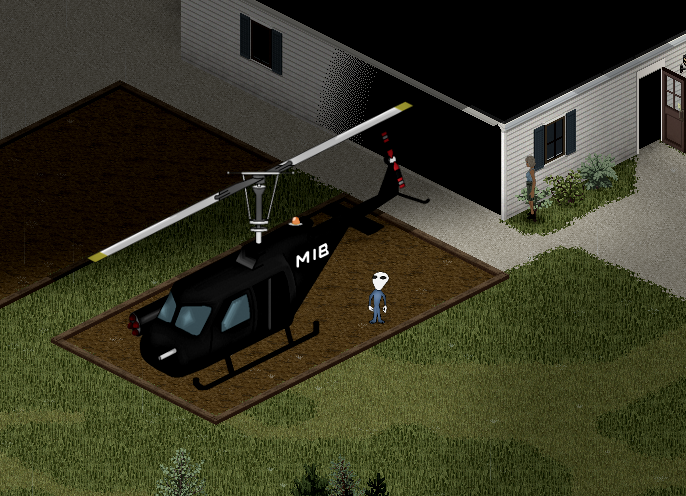 If you say "Ok the destruction level is good" i will go in serial production making the other Helis. 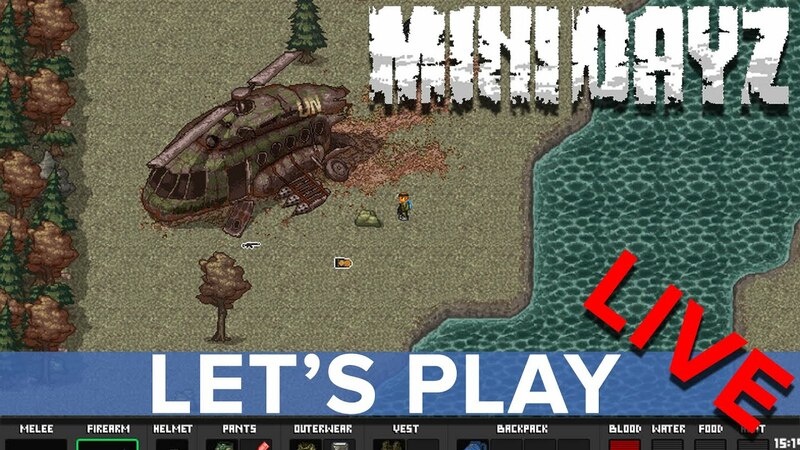 Edit: Here is how the Medi would look like if you want the broken base Texture. well you can use this example I did, but they can also create other versions taking these examples, we have to improve a little section where it is broken but you need to give the effect of broken metal. K the first one looks good. 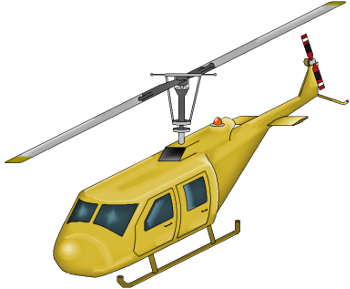 I have packed the Heliparts together becouse i dont know if you want such a large Texture. 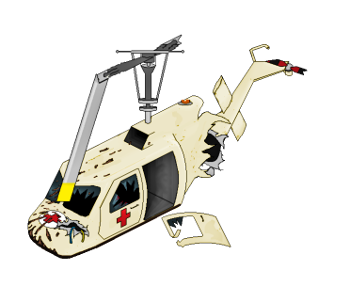 But when you say "its ok" then i make a Heli like the first with some broken Metalparts. 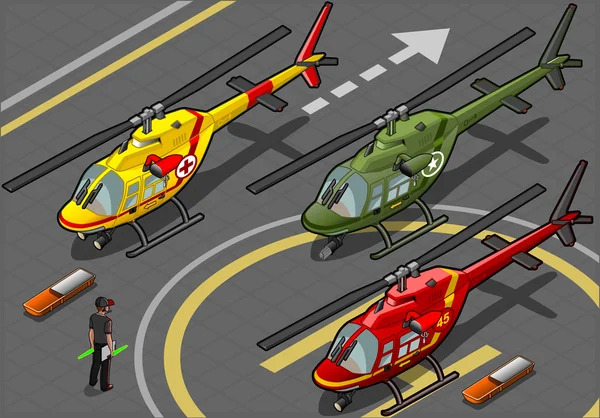 Do you want the scratch in the front of the Heli? Think about to take the tail and put in in the right direction. Then i delete some of the middle part and add the broken metal. 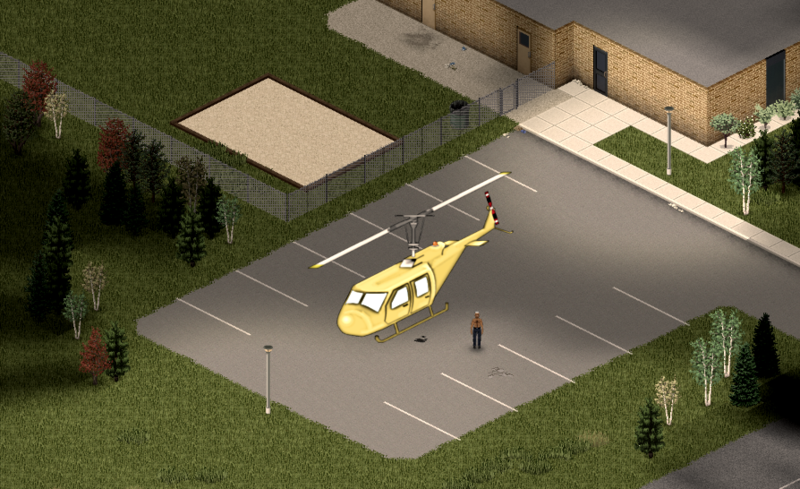 So it looks like that the Heli had a serious problem in the engine when get down. Hmm i make a few and you can look and tell me more. Do you want the dirt effect in the Front? 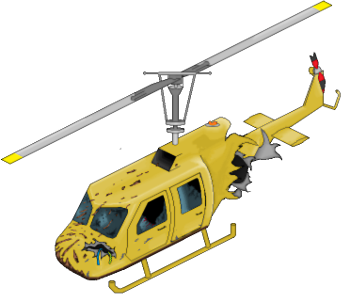 uses the first example and the effect of dirt you did in the helicopter I love that if you can add this very interesting being seen to drag some land to crash. for indeed I am not very good at English my mother tongue is Spanish, I communicate to tra traducctor instead of google there are certain things that do not translate correctly but most understood, greetings from Venezuela great job. Have take a little time out and make something other. BTW: just a sketch to define the endproduct. 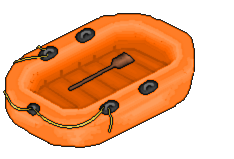 Can you make a raft without the paddle and just the paddle? IOh yes. Its part of my concept that i want to tell a story with a picture. I think this makes an Item more intresting. You look on the texture and think wow whats that? Whats happend here and look there and so on. Great interesting element that is good, it will be a perfect place for resources. 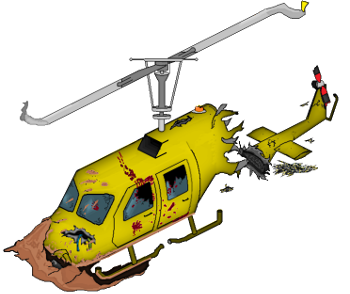 excellent scene, I like markings hands with blood, and just missing helicopter elices bend and twist the base of the helicopter to make it look that had crash-landed and broke on impact. 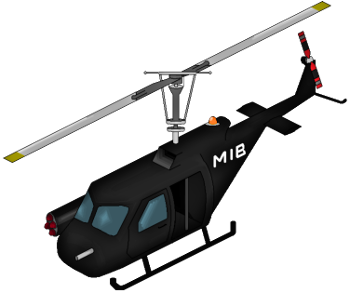 and you finished with the design you can follow different models of helicopters, great job. So my Windows 10 update has eat all of my texturedata. 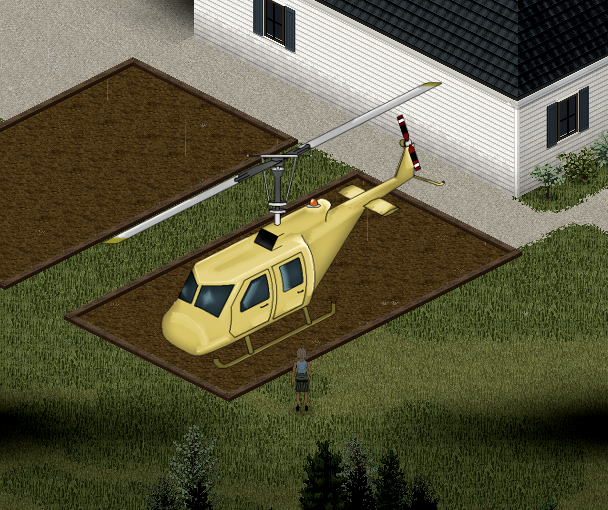 Have to remake the Heli from this pics here. But hey. Used that to try something new. Here is the result. 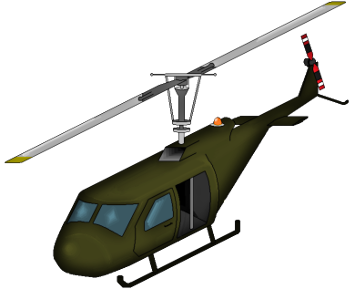 If you say "yes thats the style i want" i will make the Helis you ask me for in better quality (this one have a few mistakes) have testet the texture with the dirt and yes seems it work. 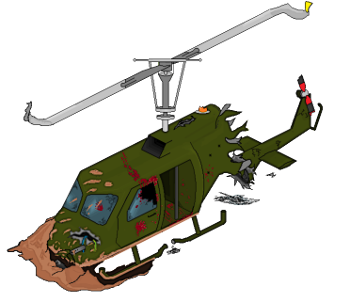 this perfect just have to combine the texture of the land the helicopter with the Project Zomboid well combined better and break a elice, unfortunate loss of your texturedata recommend backing up your files with Dropbox is a good tool, the model is great quality improvement and stay amazing. 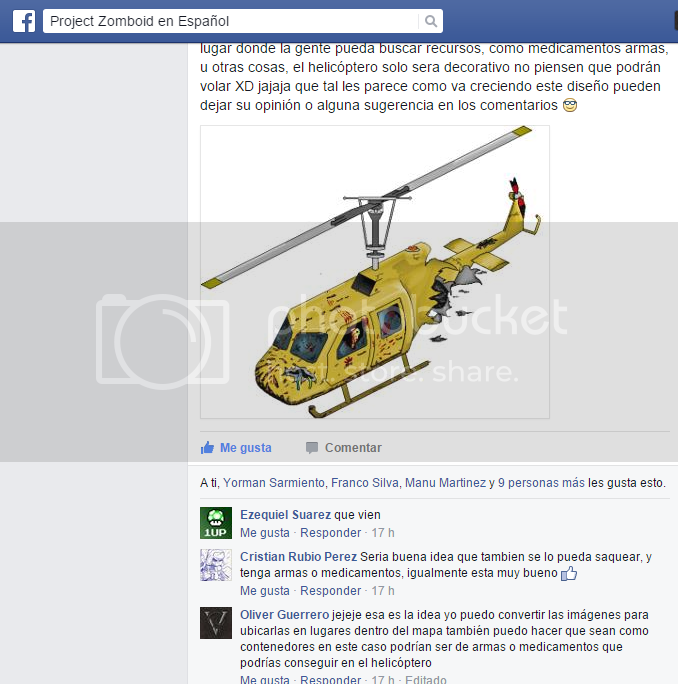 by the way I posted one of your pictures in the Project Zomboid community in Spanish and I received a lot of support and acceptance of group members. Huh nice. Have found some Textures in the windows trash ... i try to make the best fro what i have and now i have more. Hmm i think i must play a little with the color and texture of the earth and bend some parts a little bit more. I have think about a shadow effect under the Heli so it would look like more realistic. 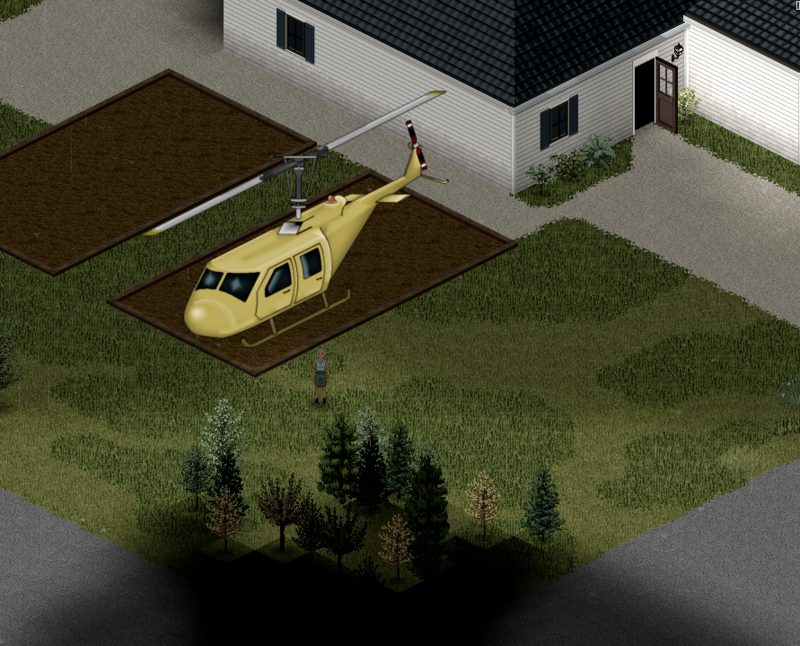 Hehe i like the little thing on the military heli ... when you look to the backdoor you can see what happend to the crew. I make you some variants. Try the Military again and again i forgett to add some trash. 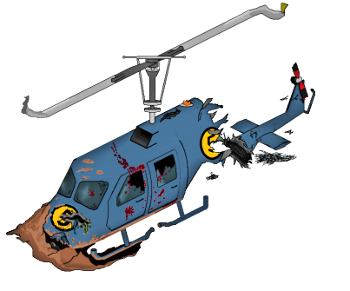 helicopter crashed design looks great if you want to work with shadows recalls that the black color should have some transparency to be better on the back cover but also combined with other textures.